Instant savings, wherever you are. Enjoy first-rate discounts from hundreds of merchants. Add more value to your Liv Rewarded and Liv Unlimited account with discounted offers from local, regional and national retailers. Need an oil change? Save with BaZing! Going out to dinner? Save with BaZing! Planning a vacation? Save with BaZing! 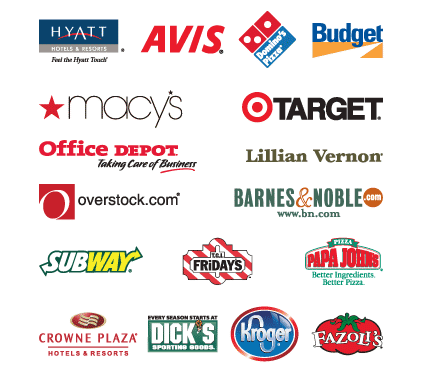 Benefit from hundreds of merchants offering great discounts. BaZing is easy to use. Download the BaZing app for our smartphone or tablet for quick and easy access when you’re on the go. Local discounts will appear closest to where you currently are allowing you to tap the offer and show the merchant at checkout to receive your discount. In addition, you can get discounts directly sent to your email or visit the BaZing.com website to find offers. Narrow your search by finding local discounts within your zip code or take advantage of discounts from national retailers in-store and online. Click on the offer, read the details and save money. In addition to regular retail store discounts, BaZing offers discounts on travel (hotels, rental cars and vacation packages) health (pharmacy, eye care and hearing), and dining. This can add up to a tremendous savings just by using BaZing. Let’s face it, to replace your broken or damaged cell phone can get really, really expensive. With your Liv Rewarded and Liv Unlimited account, and through your BaZing benefit, you can receive a great perk to protect your cell phone. If your phone is damaged or stolen, you could receive coverage of up to two claims of $200 per year. All you need to do is pay your cell phone bills through your Liv Rewarded and Liv Unlimited account to maintain this coverage. Protection begins the first day of the calendar month following your cell phone payment. And, it gets better. This coverage is for the primary cell phone and up to two additional phones listed on the cell phone statement. Full coverage terms and conditions are available at www.bazing.com. You never know if and when your identity may be compromised causing you damage to your credit and reputation. Now your Liv Rewarded and Liv Unlimited account can help you through that difficult time with protection assistance included at no additional cost to you. If your identity is stolen, this benefit offers reimbursement for some expenses you may incur to restore or repair your identity. This lifetime benefit offers up to $2,500 toward those expenses. Fraud specialists are available to assist you if your credit cards become lost or stolen. These specialists will provide assistance in cancelling and reissuing your cards, and provide guidance to help protect your finances. For other fraud issues and concerns, this service offers unlimited access to a personal fraud specialist who will provide education, guidance, identity recovery support and resolution services, as well as concierge assistance. Car trouble never happens when you have time to deal with it. But feel better knowing you have help available when you need it. This roadside assistance benefit offers a discounted rate for the basic problems of jump starts, flat tires, fuel delivery, lock assistance, short distance towing and more. Simply tap the BaZing mobile app, and under the Roadside Assistance information is a toll-free number to call for assistance while you are stranded. Its easy to use and a money-saving benefit. If nothing bad ever happened, no one would need insurance. Unfortunately, it does, and buying insurance always requires the contemplation of unhappy events. As the name implies, Accidental Death Insurance protects you from the unforeseen financial hardship of an accident that causes death. The plan provides worldwide coverage for you and any joint account holder. **Cell phone protection and identity theft assistance are subject to additional terms and conditions. Insurance products are not FDIC insured, not a deposit, not an obligation of or guaranteed by Midland States Bank, its affiliates, or any government agency. Participating retailers are subject to change at any time and without notice. Learn more about BaZing benefits at www.bazing.com. Bank rules and regulations apply.